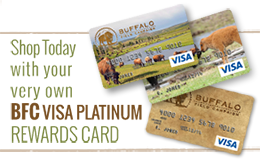 Take Action for America’s Last Wild Buffalo! You have a voice. Please use it to create positive change and lasting protection for America’s last wild buffalo by taking the important actions listed below. All of the sample letters we provide can be edited, so if you have already taken action, for all but the public comments you can refresh your words for the buffalo and write these decision-makers again. Please share these links with your network of friends ~ spread the word to save the herds! VOICE YOUR CONCERNS: Tell Montana Legislators to manage wild buffalo like wild elk!